We work with a vast variety of vessels... Sterling Silver, Pewter, Gemstone, Artisan Glass, Shell, Leather, Bone, etc... and in Rings, Pendants, Earrings, Bracelets, Freeform, etc. We like to use metaphysical jewelry, Gothic jewelry, and fantasy jewelry whenever we can. 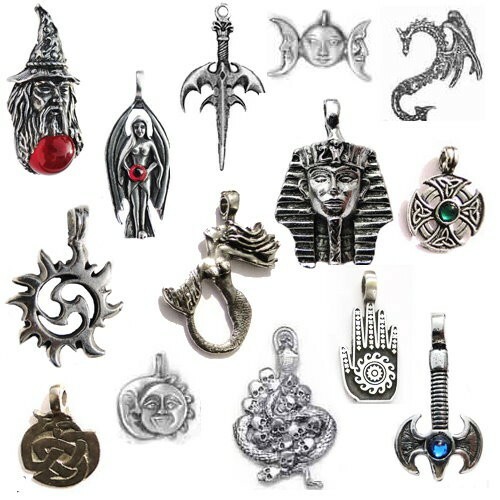 We offer the metaphysical jewelry, Gothic jewelry, and fantasy jewelry in sterling silver, pewter, stainless, and sometimes leather. This guide will help you understand the selections in the drop-down for listings. Bound to spirit: This means the spirits and/or spells will be bound to your spirit. Your spirit is the unique energy which resides around you and is connected to your 3 bodies (Astral, Earthen, Spiritual). Therefore your spirits and/or spells are always with you. Bound to Master Vessel: A Master Vessel is a single vessel wish is tailored to have as many spirits and/or spells as you wish. They are created with Creepy Hollows proprietary blend of spells with cloaking spells to keep out prying eyes, and harmonizing enchantments so your spirits and spells will reside not only happily but also effectively together. You can read more in the Master Vessel listing. What is the Bridging option? Bridging is a special, Creepy Hollows developed option which allows there to be a linkage between yourself, the vessel, and the spirit or spell. This way you do not have to have the vessel with you everywhere you go. You can access your spells from anywhere. This comes especially in handy if you don't want to wear all your vessels all the time, you want to go on vacation, or you have a job or other circumstances where you can't wear jewelry or amulets but you still want to have access to your bindings. Here are just a few examples of each. We have a LOT of styles, and a lot of vessels, so this is just a sample of the type of vessel you'll receive. If you would like stainless or pewter your item price needs to be $4. Any binding less than $4 (after all discounts) will be bound to a vessel in your profile preferences. Because of the rising price of precious metals we no longer offer sterling as an option for bindings less than $15. Any binding less than $15 (after all discounts) will be bound to an alternative metal, gemstone, or artisan glass vessel. Because of the high cost of gold we will not use gold as a vessel for any binding less than $200 (after all discounts), an alternative like sterling silver will be used.We apologize for this inconvenience, however, between the price of metal and the amazing discounts we give during sales we cannot give sterling when it costs more than what was paid for the binding & vessel. Free gifts are gemstones only, unless the free gift is over $100 when profile vessel selections can be used. 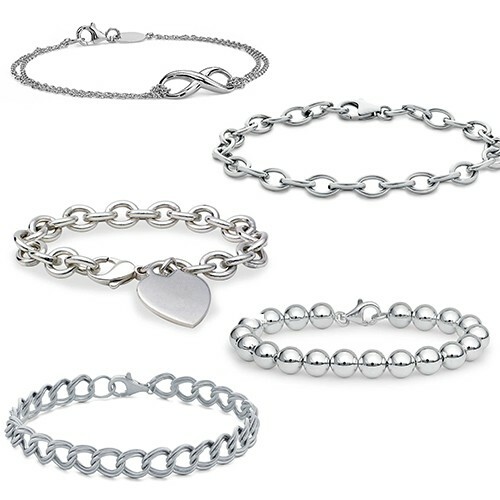 We have more than 50 different designs in plain links, beads, and classic designs. We have more than 50 different designs with many different types of stone. 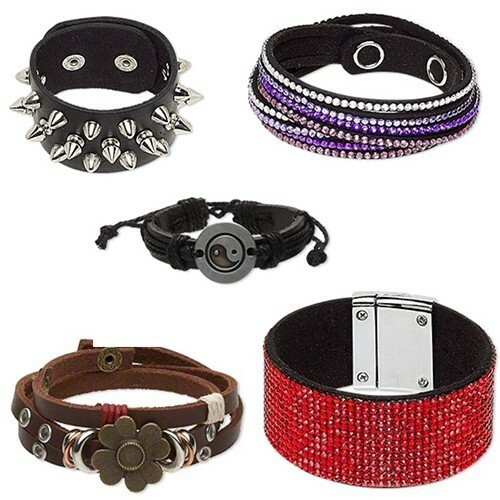 We have more than 100 different designs which are classic, Celtic, fantasy, biker, and unique in theme. They feature detailed designs and/or beautiful gemstones. 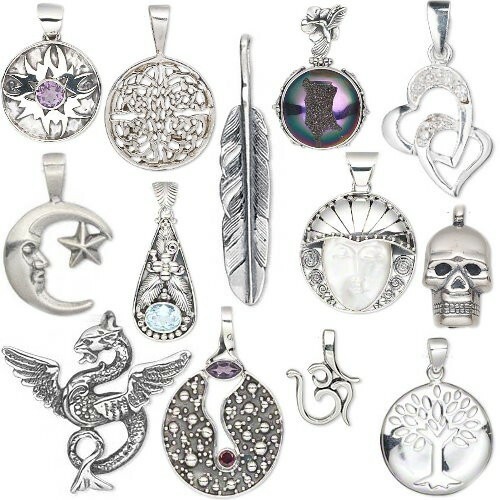 We have more than 100 different designs and our premium sterling gemstone pendants feature more intricate designs, heavier sterling content, or premium gemstones. 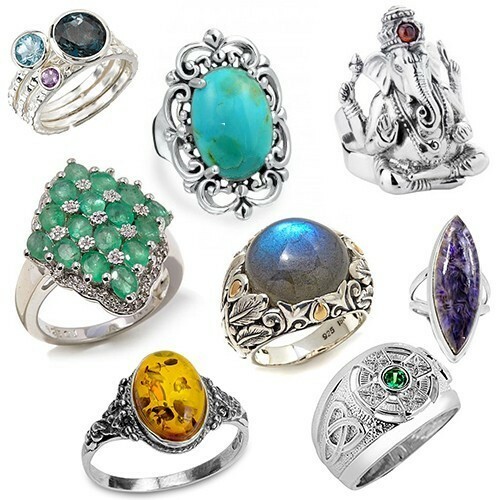 We offer more than 100 different designs which are classic, Celtic, fantasy, biker, and can feature many beautiful gemstones in size between 4-15. 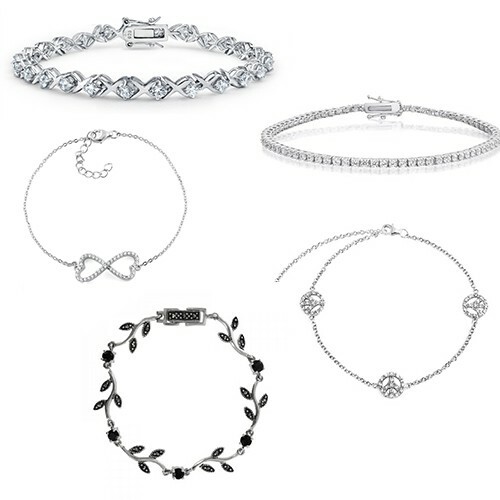 We have more than 50 different designs which feature intricate designs and/or premium gemstones. 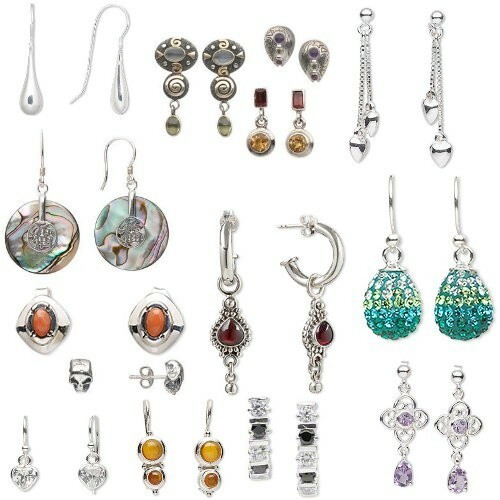 We have more than 50 designs in sterling earrings which include posts, hoops, French hooks, and dangle earrings. They feature many different types of stones and range in size. We have more than 150 fantasy-themed pewter designs :) This is a small sampling of what we use for your bindings. 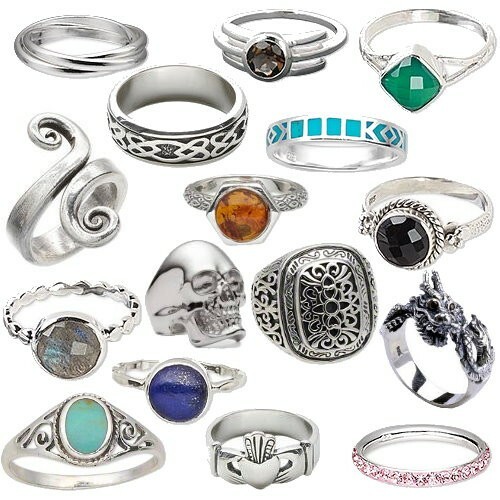 We have hundreds of designs of stainless steel rings and bands that feature engravings, stones, and etchings. As well as a large selection of plain bands. Our premium stainless rings feature wider bands, more intricate designs, larger stones, and overall more complicated creation. 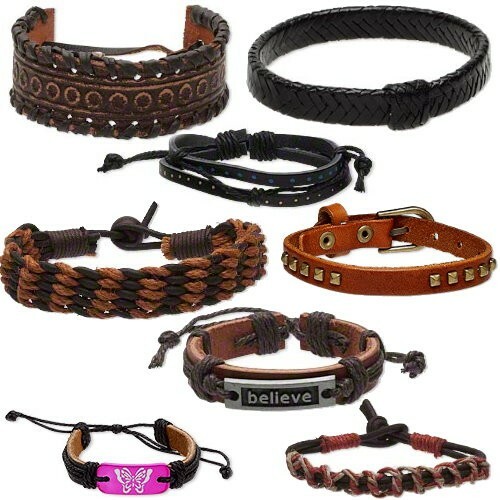 We have more than 50 designs of leather bracelets which can incorporate cord, hemp, and other embellishments. We have more than 50 different designs and the premium leather bracelets are larger, feature more hardware, or are more complex in their design. 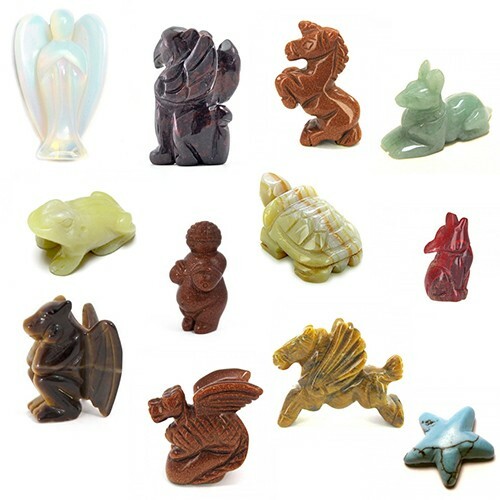 Our gemstone carvings range in size from 1"-2" on average. We have many varieties of gemstone we work with. You can see a short list here. 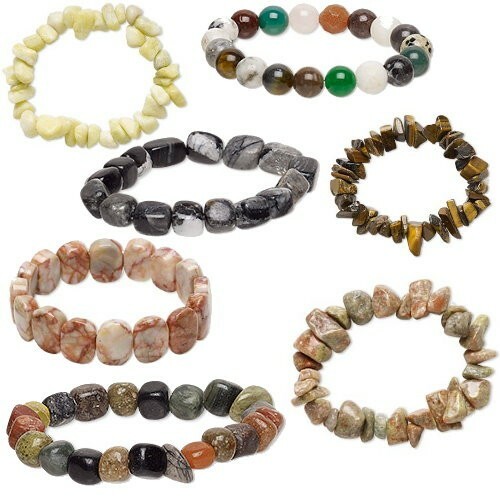 Our gemstone bracelets are primarily chip, nugget, bead, and cabochon in shape with more than 45 different gemstones. 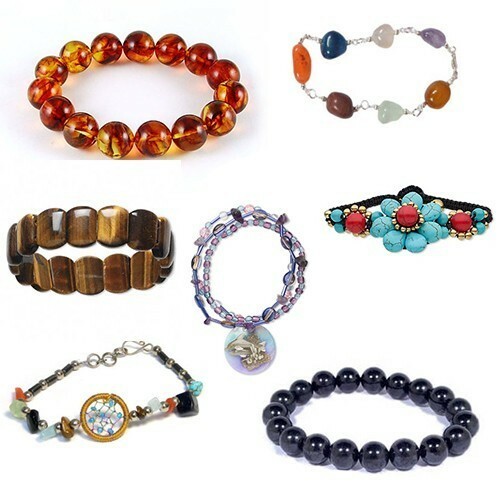 Premium gemstone bracelets feature more intricate designs and can be made of more expensive types of gemstones such as amber, shungite, charoite, turquoise, or a mix of many different types of stone. 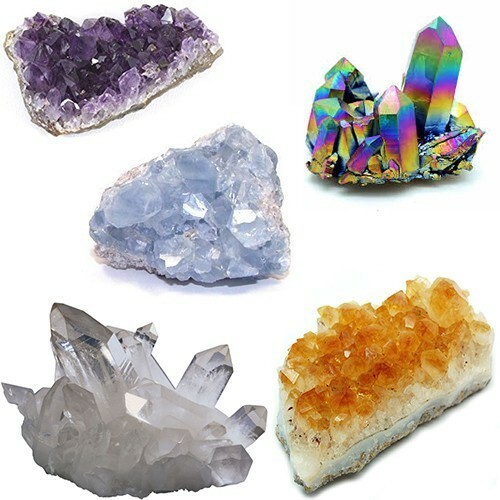 Our gemstone clusters range in size from 2"-4" on average. We have many varieties of gemstone we work with. You can see a short list here. 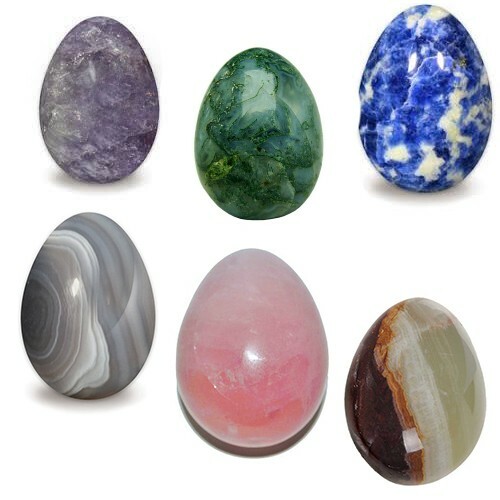 Our gemstone eggs range in size from 1"-2" on average. We have many varieties of gemstone we work with. You can see a short list here. 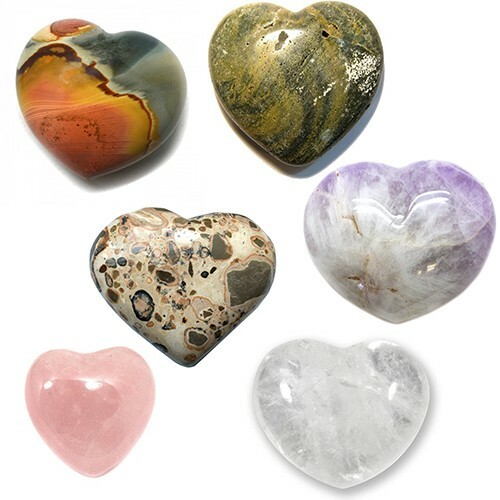 Our gemstone hearts range in size from 1"-2". We have many varieties of gemstone we work with. You can see a short list here. 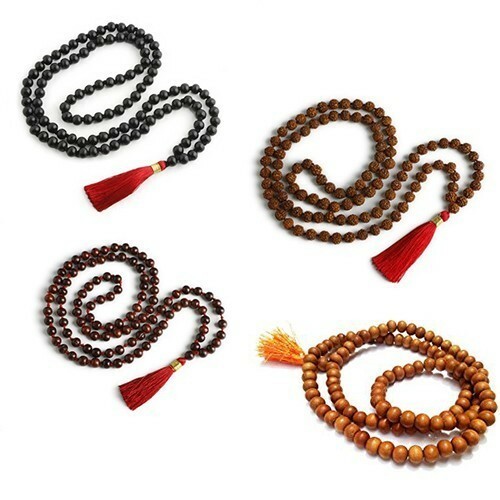 You will receive one strand of mala beads. We have many varieties of gemstone we work with. You can see a short list here. 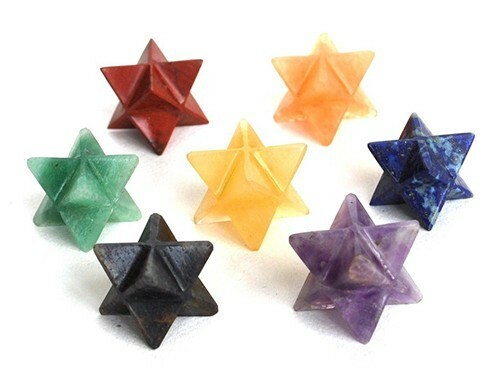 You will receive one gemstone merkaba approximately 1"-1 1/2" on average. We have many varieties of gemstone we work with. You can see a short list here. 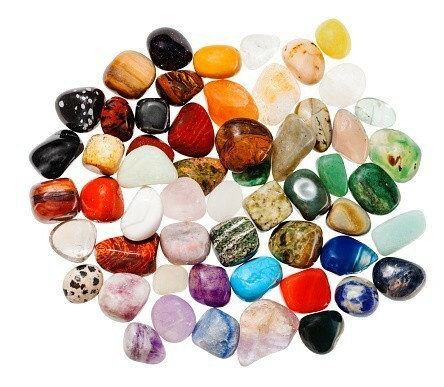 We have more than 100 varieties of gemstones in flat, pyramid, point, faceted, pendulum, Chakra, bottle, Tibetan, wrapped, and embellished styles. These are a few examples. 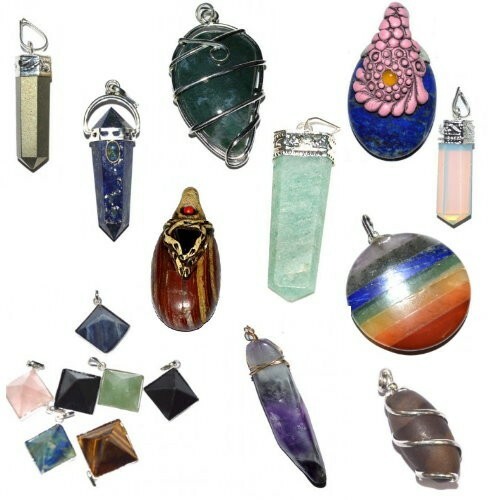 We have many different designs of gemstone pendant we work with. 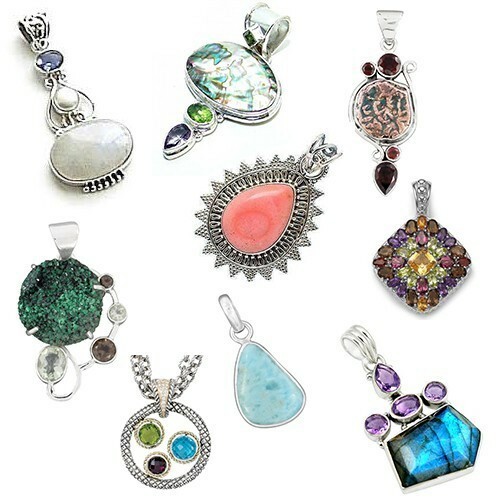 All fancy & premium gemstone pendants feature more intricate designs and/or more exquisite gemstones. 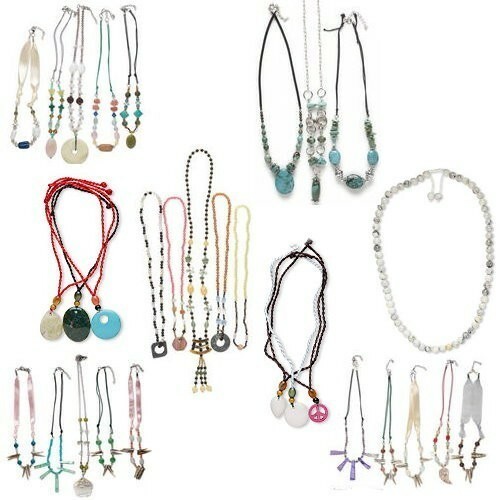 Premium gemstone pendants may feature raw or natural gemstones mounted in sterling silver bails. They may also be more decorative in design or contain multiple gemstones. We have many varieties of gemstone we work with. You can see a short list here. 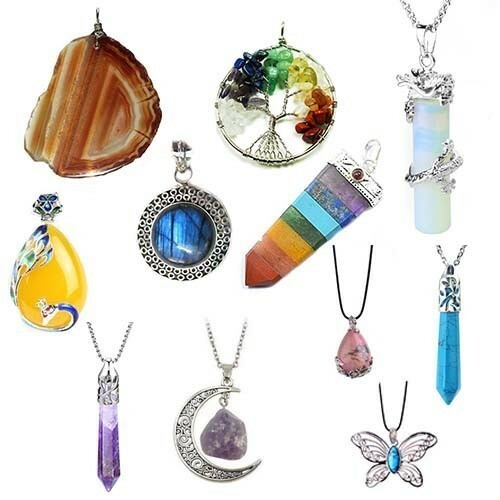 Our gemstone necklaces come in more than 60 different styles with more than 40 different gemstones and gemstone combinations. 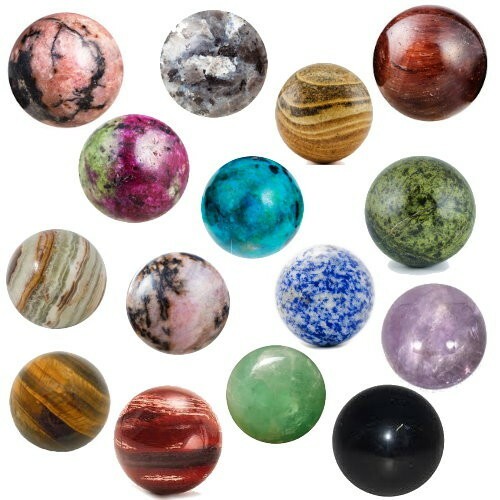 Our gemstone orbs typically range in size between 20mm-40mm. We can get them as small as 10mm sometimes and up to 50mm. 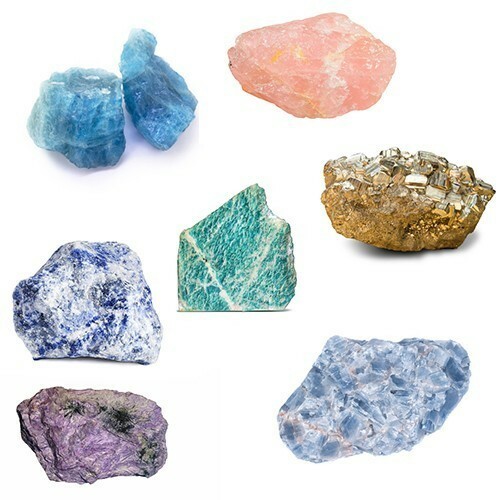 We have more than 40 different gemstones we work with which include (but not limited to): quartz, tiger eye, green aventurine, turquoise, opalite, cherry quartz, silverleaf jasper, sodalite, wood jasper, dalmatian jasper, fancy jasper, goldstone, fluorite, howlite, rhodonite, rainbow jasper, snowflake obsidian, picture jasper, and more. 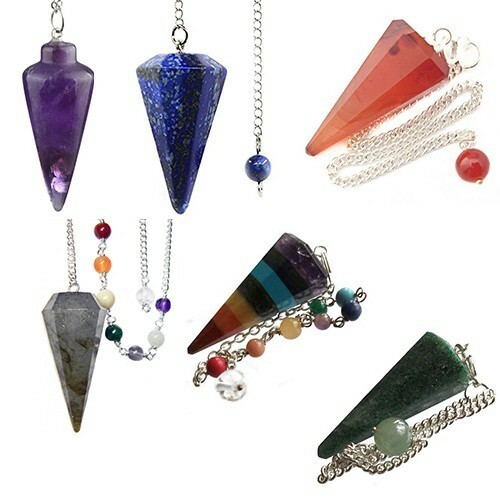 We have many different designs of pendulum we work with. We have many varieties of gemstone we work with. You can see a short list here. 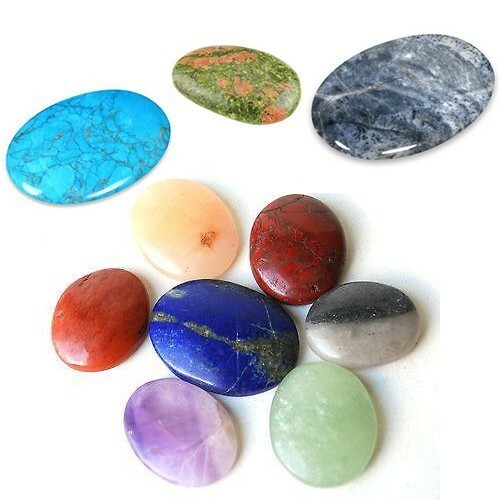 You will receive a gemstone point, approximately 1"-2" in length on average. We have many varieties of gemstone we work with. You can see a short list here. We have many varieties of gemstone we work with. You can see a short list here. 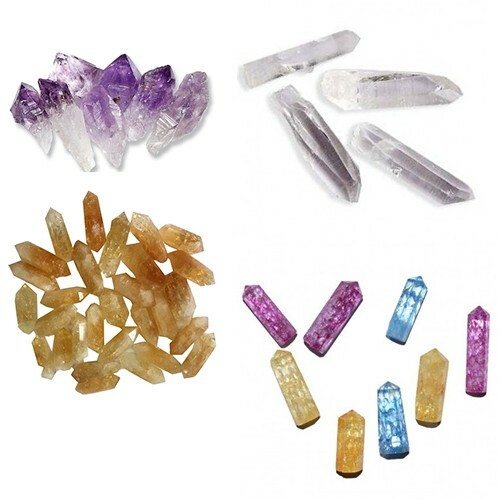 The Premium Gemstone selection are for gemstones of rarer variety or higher quality specimens. 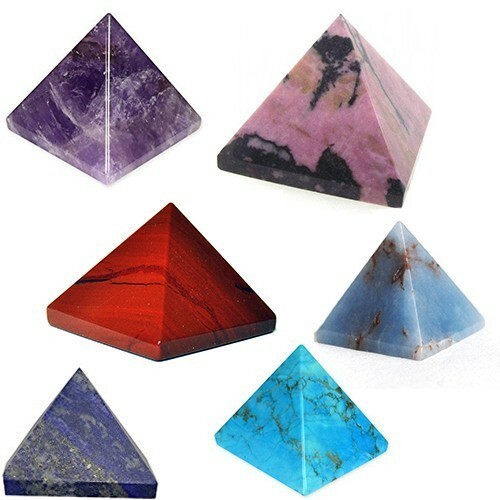 You will receive one gemstone pyramid between 1 1/2"-2" at the base. We have many varieties of gemstone we work with. You can see a short list here. Rough or raw gemstones range in size from 1"-3" on average. We have many varieties of gemstone we work with. You can see a short list here. 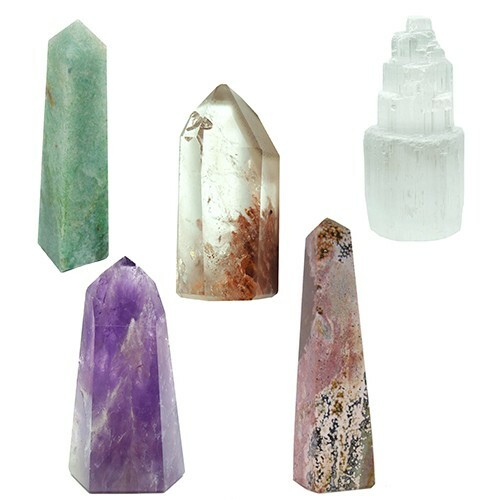 Gemstone towers range in height from 2" to 4". We have many varieties of gemstone we work with. You can see a short list here. 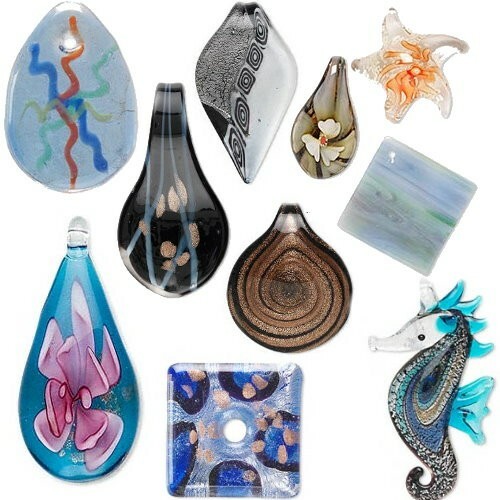 Our artisan glass pendants comes in varying colors and designs. 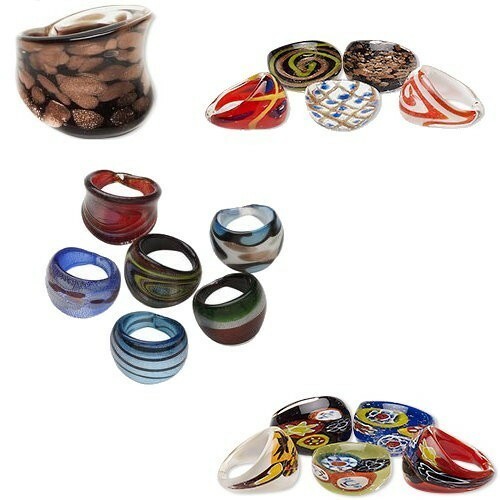 Our artisan glass rings comes in sizes 6-9 with varying colors and designs. Our gemstone rings are carved from agate in multiple colors. They come in sizes 7-10.